Friday, Feb. 8, 2019, 5:30 – 7 p.m. This event is canceled due to the predicted snow on Friday and will be rescheduled in the spring. Please check back. Due to inclement weather predicted on the afternoon and evening of Friday, February 8, 2019, the Somali Counting Book Launch and Community Celebration is cancelled. We appreciate your understanding and hope to see you at the event when we reschedule later in March or April. Please visit this website for more information on the project and to check back regarding the rescheduling of the book launch event. Please contact Somali Family Safety Taskforce or call 206-495-9504 with questions. Thanks for your interest and support of children’s books created by Seattle’s Somali families. After the tremendous success of our first book, Baro Af-Soomaali, published last year by The Seattle Public Library, along with Somali Family Safety Task Force, Seattle Public Schools and the Seattle Housing Authority, we replicated the project with 5 new Somali families from the High Point and NewHolly neighborhoods. This year’s book is a counting book, featuring fruits and vegetables. The families made all major decisions about the book and created 100% of the artwork. 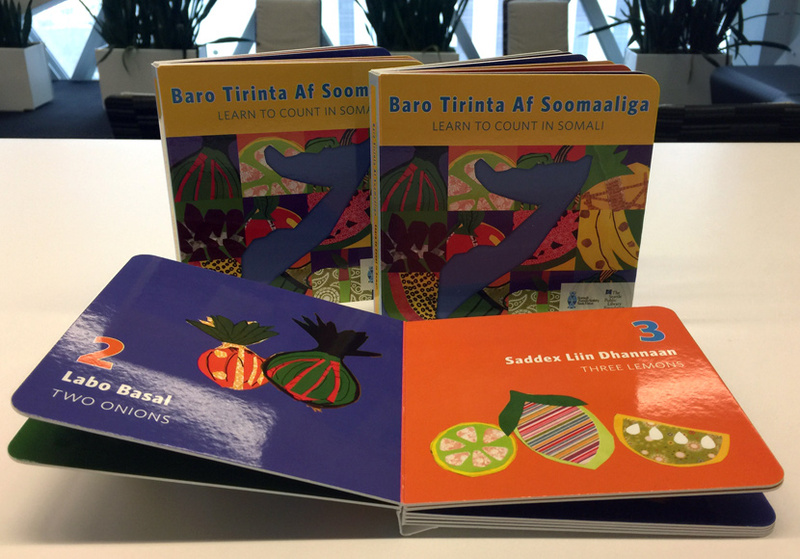 This time the book is bilingual, so that everyone can enjoy it together as they learn to count in Somali and English! Please join us at the book launch to meet the amazing Somali moms and youth who created this beautiful board book. Food will be provided.